I know it’s weird to eat herbs that I don’t even know the names of but trust because my parents have always eaten them. As a kid, I would eat the herbed chicken soup Mom made without ever wondering what the herbs were. I just remembered it tasted good. I still don’t know what the herbs are called…except for maybe the herb farthest on the right. I think that one is called Angelica. 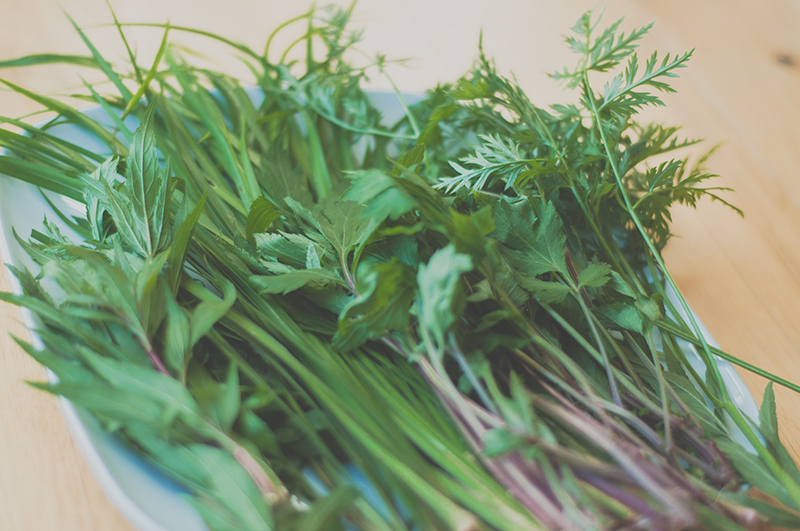 To make this dish, use a sprig of each of the different herbs in the photo except for the Angelica. Just use about an inch tip of that one. Boil the herbs with a about a pound of cubed chicken in water. Add salt and pepper to taste. 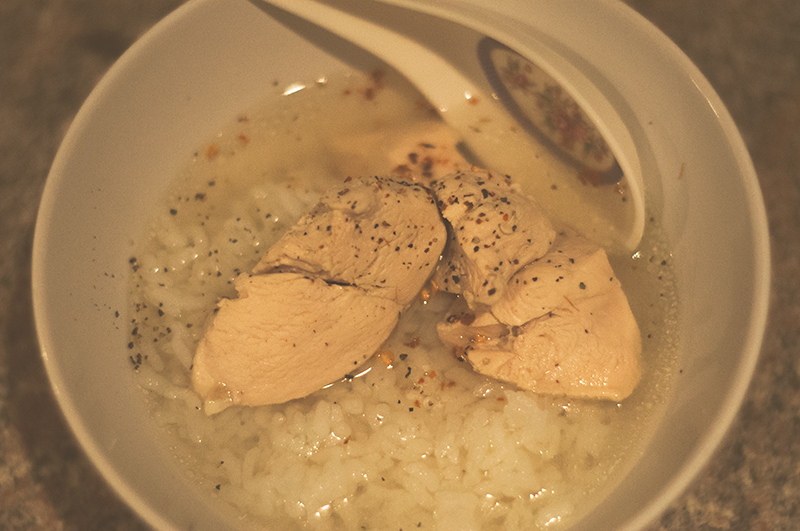 Put about a cup of rice in a bowl and then ladle with the broth and a few pieces of chicken. Add more salt and pepper if you’d like. Mom used to make this with organic whole chicken freshly killed…most the time freshly killed but frozen. Since I don’t kill my own chicken, and will never, I just buy the breasts from the local grocery store. There is a really calm effect from this soup. Once, when I was working and running around with so much going on, I sat down to this soup and instantly, like a light switch, I was calmed. Relaxed. That’s when I realized this soup was not just any soup to fill my tummy. It has some power to it. Not enough to do anything crazy but enough to calm my senses. 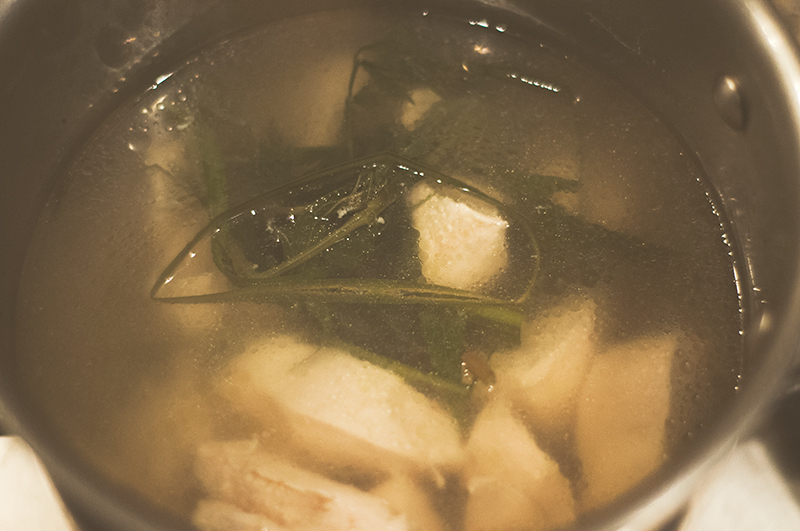 This soup is especially good during cold winters and when I’m feeling a cold coming. I haven’t eaten duck eggs for maybe almost 15 years now. Maybe longer. I was never afraid to eat them. Mom made them look so good and tasty and that’s how I’ve remembered them. It was a delicacy. Mom seemed to only buy them when she had extra money. Sometimes we had to share them. 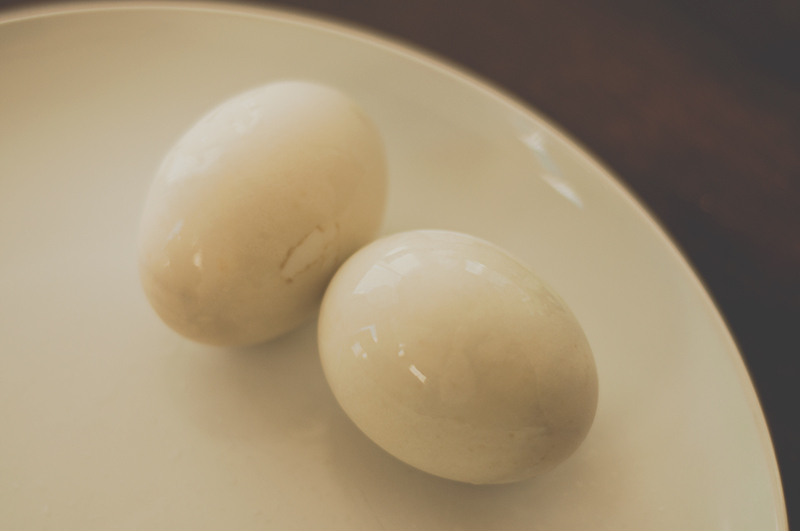 A couple of months ago I saw duck eggs at the Asian market and decided to buy a couple for my daughters to try. Their reaction was funny. Funny to me. 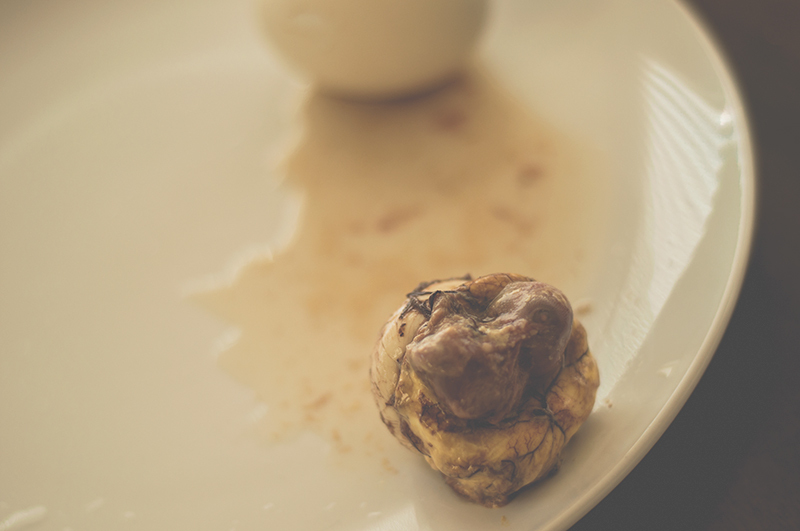 They were actually freaked out that I would even consider eating a duck egg. I boiled them anyway and cracked the shell. There inside was a baby duck. My girls screamed and refused to get a closer look. They were just grossed out, scared, and shocked. “Mom! How could you!” My 11-year-old yelled. I don’t know. I guess times have changed. If you’d like to see what it looks like cracked open, click here. I decided to make it a link just in case anyone gets grossed out. Warning: it is not a good sight. I happen to not think too much of it. It’s just a cooked duck egg and to me it tastes good. I love fresh chicken and herbs! Aww… I wanted to see the baby duck. That’s funny that Kida and Kylie freaked out. LOL. Those eggs are tastey, but I think I was only able to eat the duck when I was a kid. Now, it weirds me out with the fur and all. I’ll eat everything else but the duck.